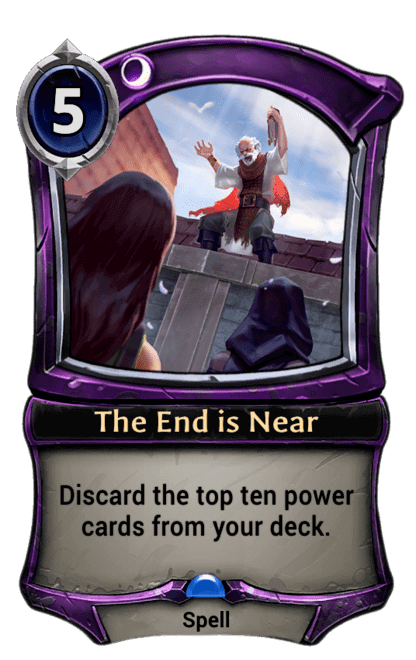 Discard the top ten power cards from your deck. Put this in a purple market for an aggro or midrange deck, and when you're top decking and have enough power to play every card, drop this to draw 50% more of the cards that matter. It's a tempo loss, but so is drawing a power card when you already have more than enough.